Do you remember those fun Club Med commercials from the 80’s and 90’s where people on the beach sang “Hands up, baby hands up” (Give me your heart)? This is the song that comes to mind when I think of Club Med. It is a fun, upbeat song that sends the message of a fun time. Club Med is exactly that. It is a fun, upbeat resort located in Turks and Caicos where you have the opportunity to take advantage of the Club Med Adults Only, all inclusive activities or simply lie on the beach or pool all day and work on your tan. 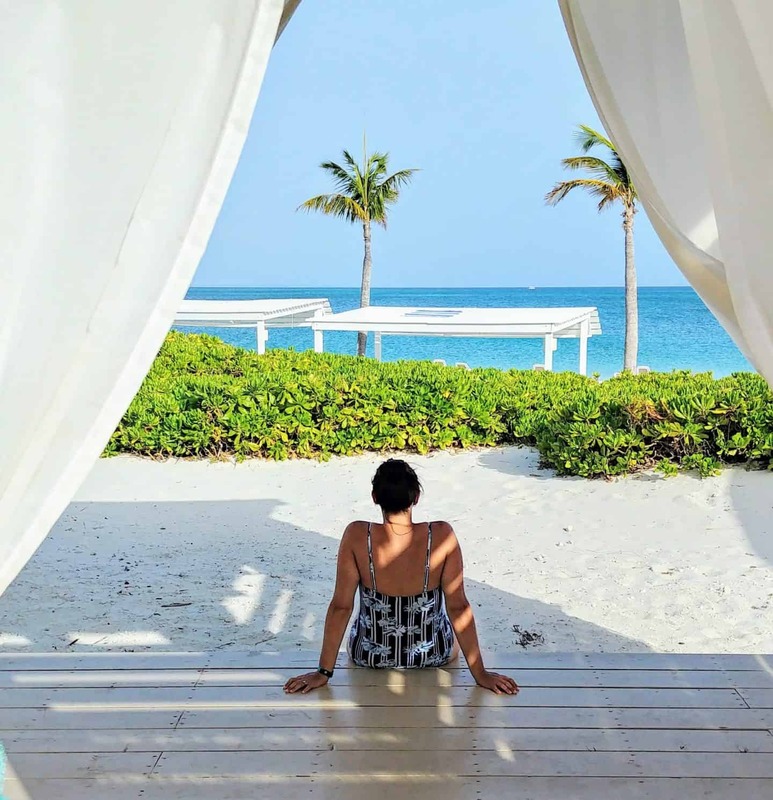 My husband and I have always dreamed of visiting Turks and Caicos. 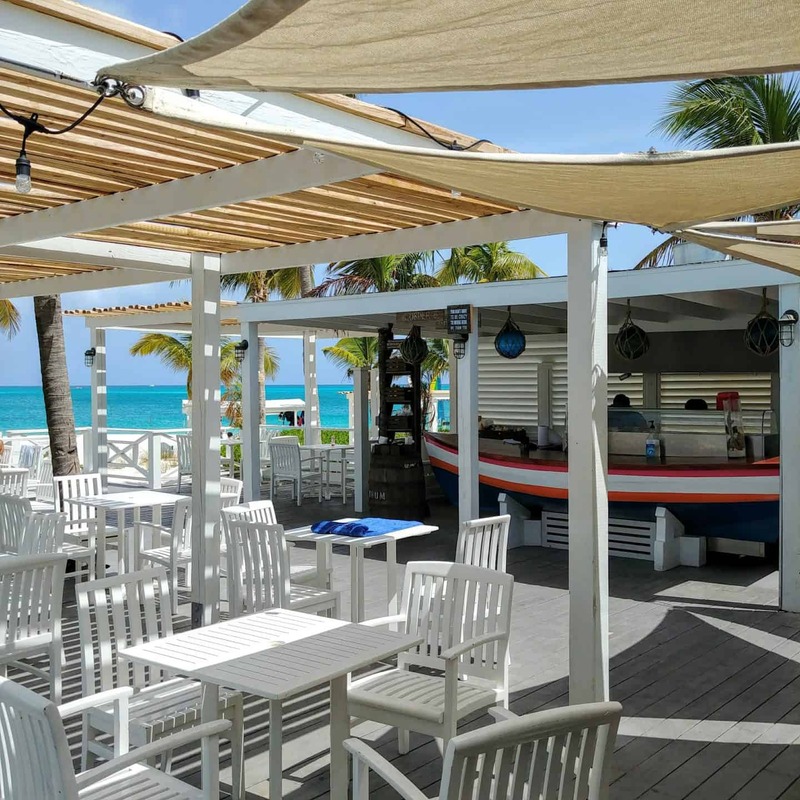 Club Med Turkoise is an all inclusive club med adults only resort located in Grace Bay of Providenciales, recently named Trip Advisor’s 2017 Best Beach in the World. This is probably one of the most amazing beaches we have ever seen. In under 4 hours from Toronto, we traveled to the most amazing crystal clear blue waters of paradise. 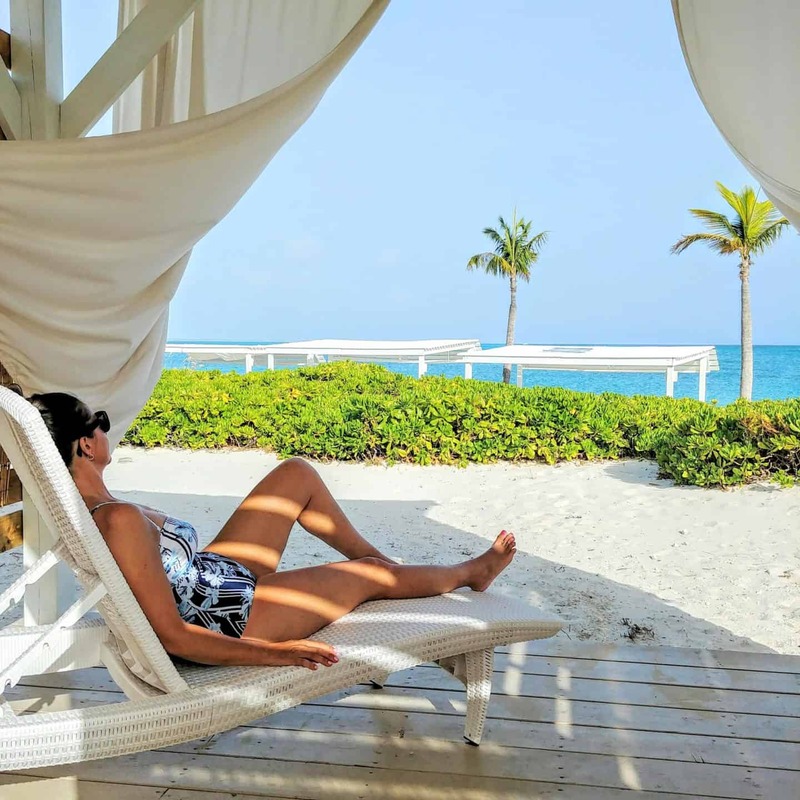 I am sure you have heard that Turks and Caicos is a fairly expensive Island. 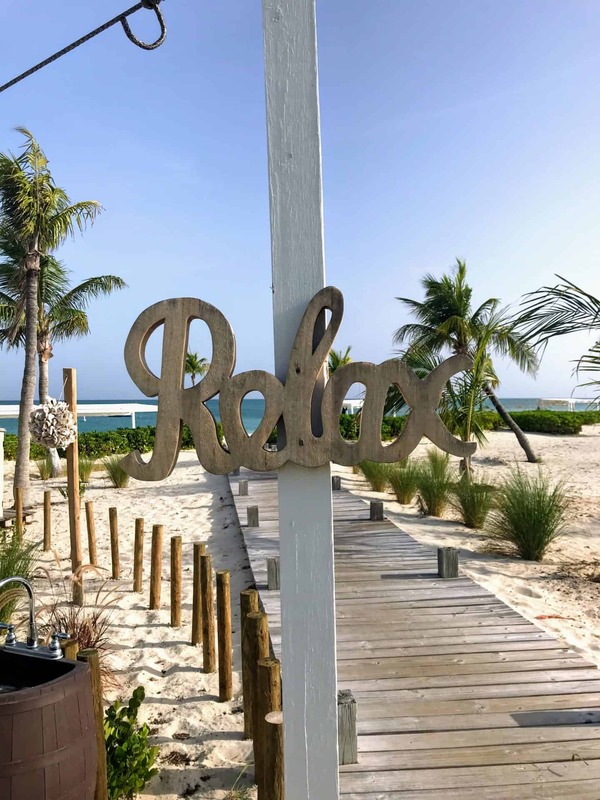 The Club Med Turkoise, located on this world-renowned beach and one of the few Turks and Caicos all inclusive resorts, is most likely the best bang for your buck in Turks and Caicos. If you are looking for all inclusive couples holidays then this is a great choice. 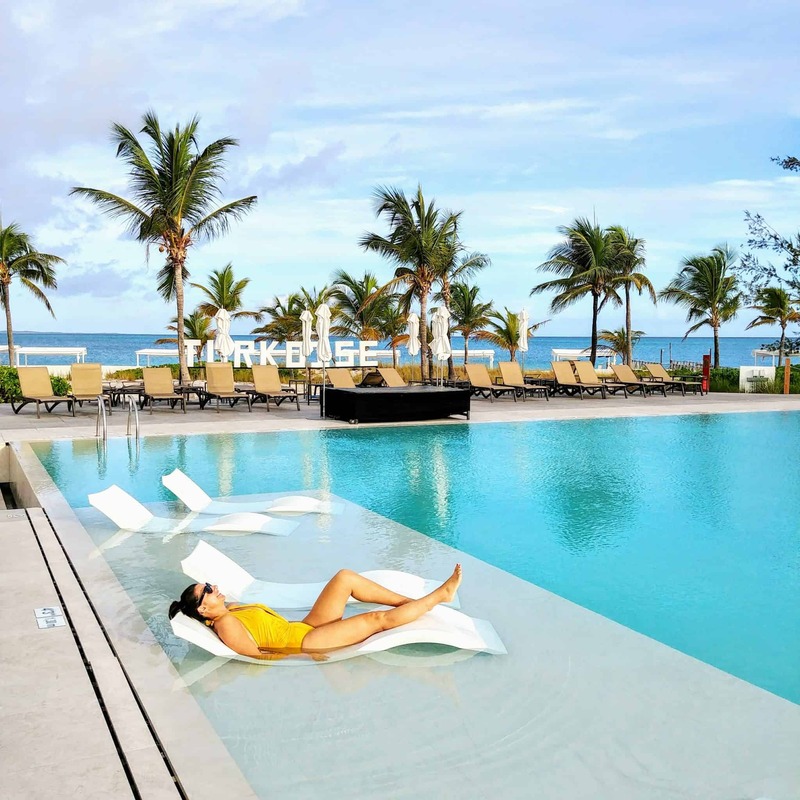 The newly redesigned Club Med Turkoise Turks and Caicos is an adults only, all inclusive resort in paradise. 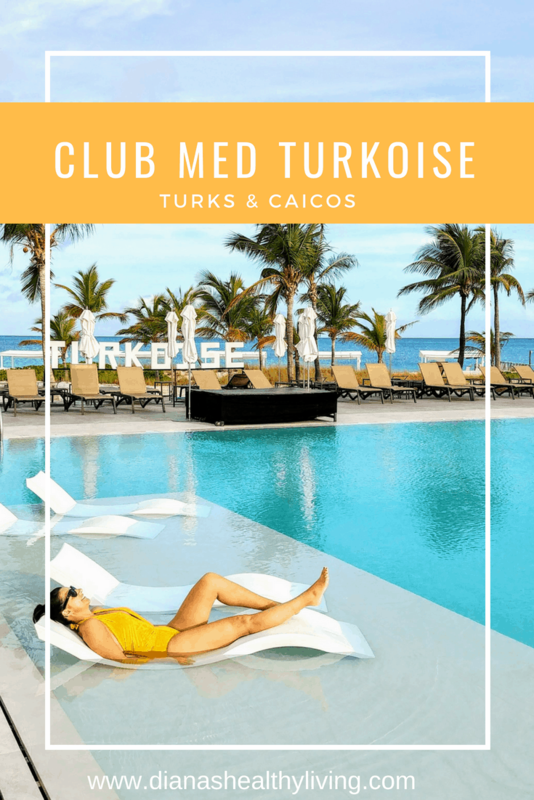 Club Med Turkoise offers a totally revamped resort center, including a brand new pool, main bar, redesigned reception area, and brand new Deluxe rooms as well. The resort has been newly renovated. 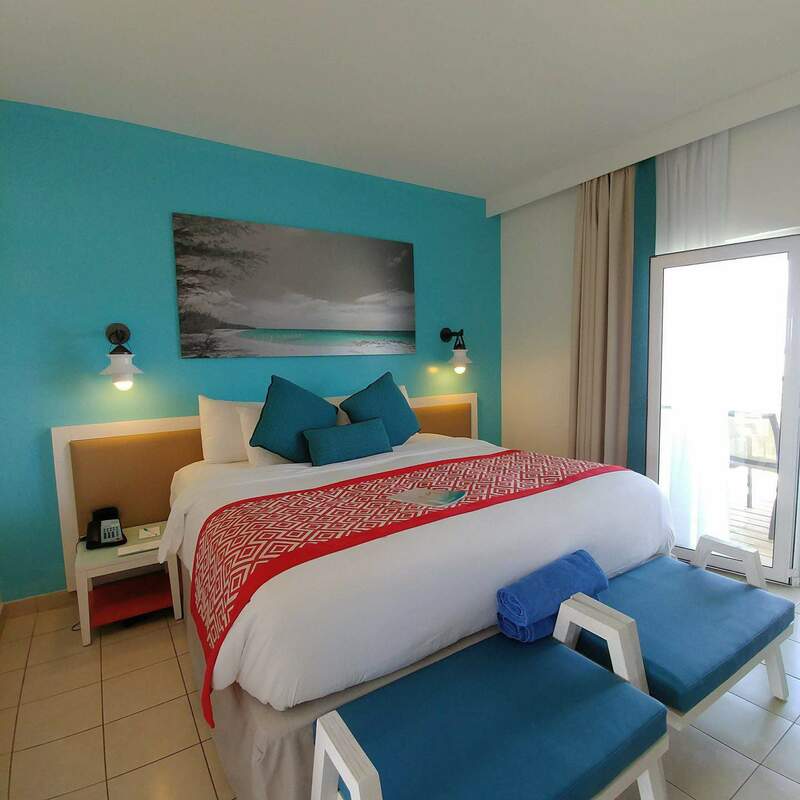 As of May 1st, 2018, Club Med Turkoise has officially earned its 4th Trident. Once we arrived at the resort, we were greeted with a welcome drink and a refreshing face cloth (it was hot outside). We were checked in and were given wristbands to wear that would identify us as guests. I usually don’t like the customary wristbands that most all-inclusive resorts have but this wristband was a bit different. Our wristbands were also our room keys. With a swipe over the door, we were able to unlock our room door. I love this as nothing is worse than always worrying about losing a room key while on vacation. The newly renovated infinity pool is gorgeous. 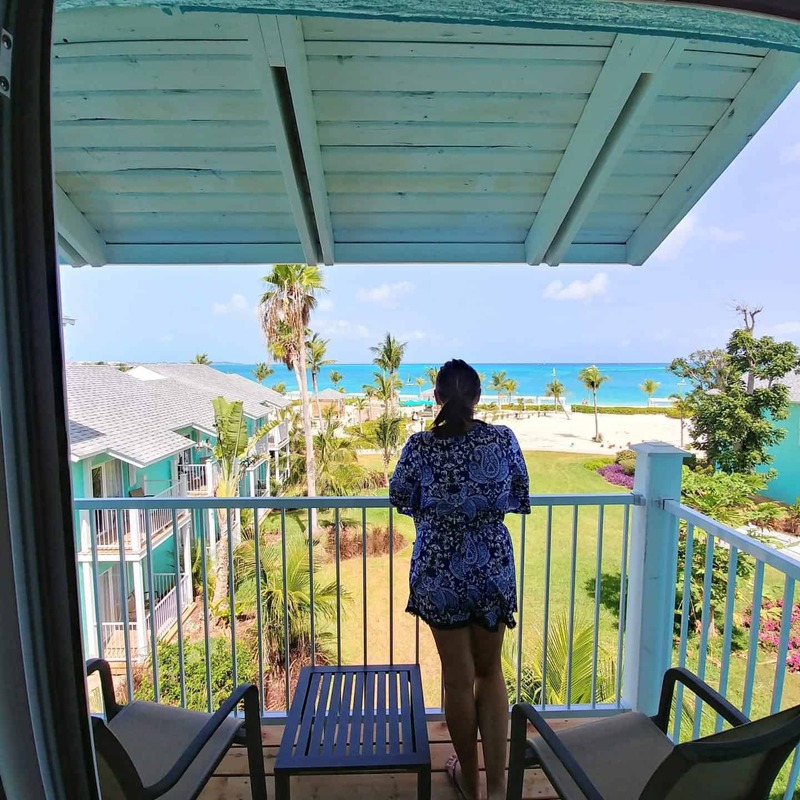 It is in the heart of the resort where you can still get amazing views of the gorgeous Turks and Caicos beach. The resort is compromised of colorful 2 story bungalows painted in blues, pink and yellow. 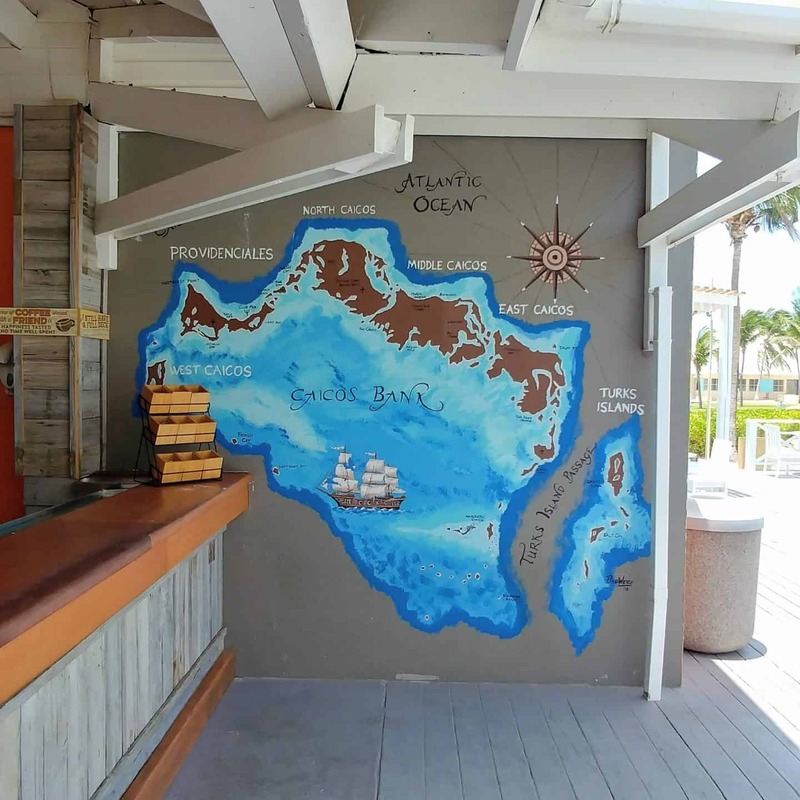 There are 290 rooms that are divided between several buildings throughout the resort. Although the buildings don’t have any elevators, there are not many flights of stairs. The 290 rooms are divided between several buildings. the buildings have no elevators but there are not many steps. The second story rooms have some great views of the beach. I love the fresh, colorful decor. 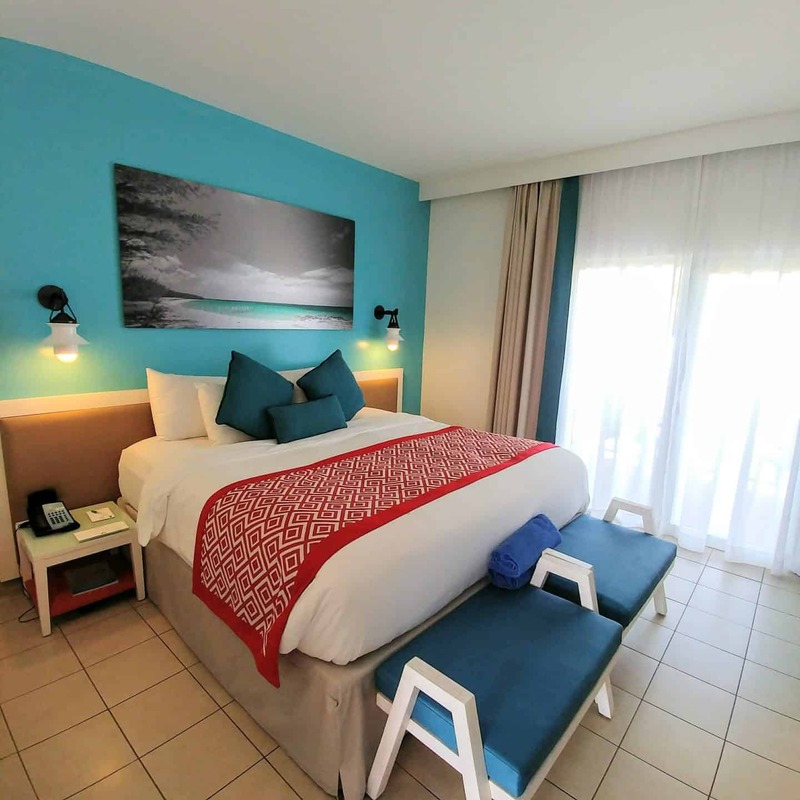 It has a tropical, clean, modern and welcoming feel with an amazing view of the ocean and resort. 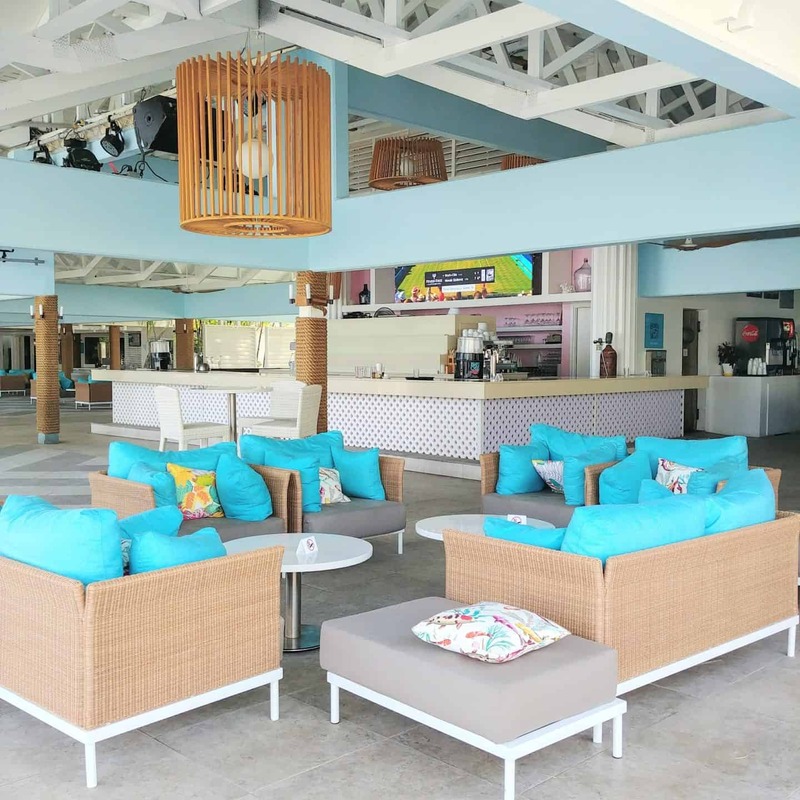 It is a lively spacious bar with all-day poolside service, pre-dinner cocktails, and after-hours festivities. This is where all the action happens. 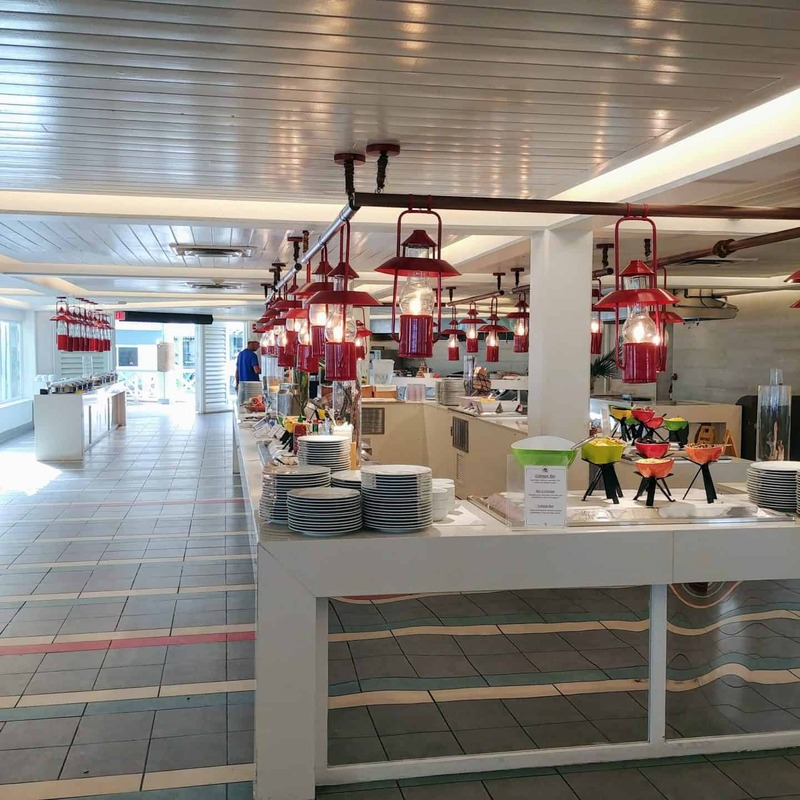 This is the newly designed buffet-style restaurant that is open for breakfast, lunch, and dinner. Breakfasts are buffet style with different stations for fruit, hot food station, an omelet station and many other selections. We discovered the most amazing bread that we have ever had. We were addicted to their white chocolate bread. If you visit Club Med you must try this bread. I apologize now if you become addicted to it. It will offer an international breakfast as well as a wide choice of local & international cuisine for lunch and dinner. 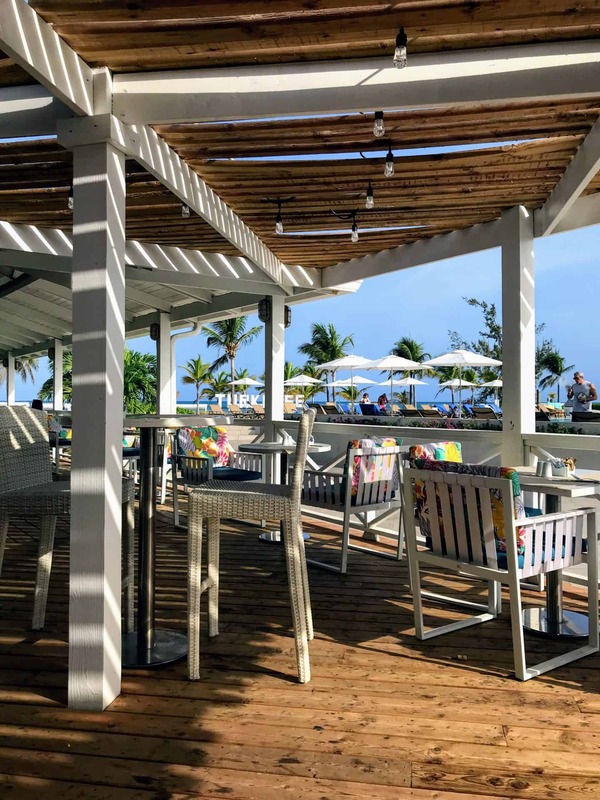 The brand new wine cellar offers (at an extra cost) a wide selection of the finest wines, champagnes and premium spirits, as well as a VIP table service at the restaurants & bars in the Resort. I would say … welcome to paradise one of the most beautiful beaches I have ever seen. 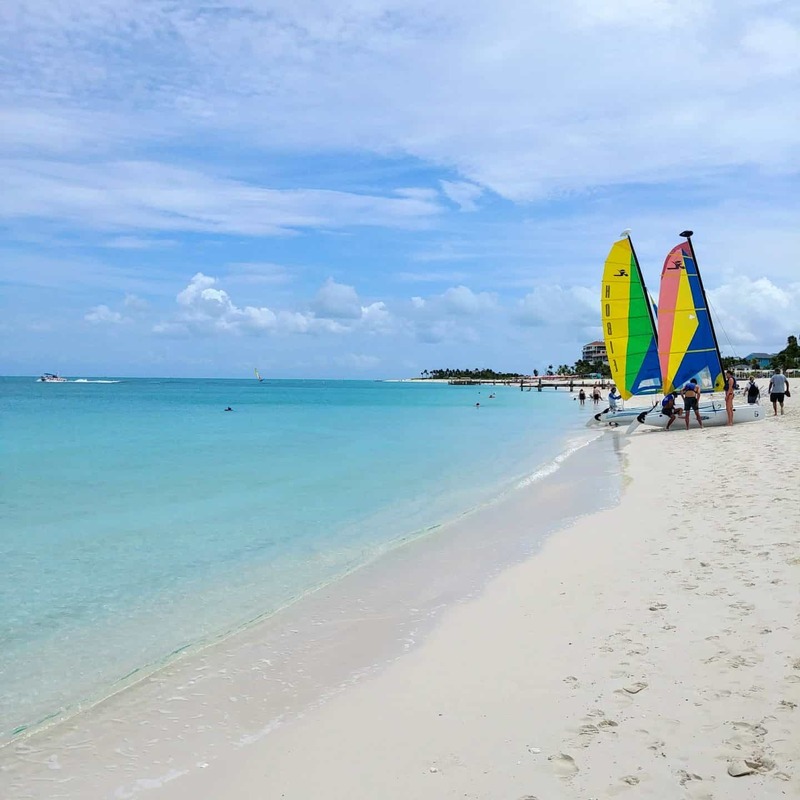 The water in Turks and Caicos is so crystal clear and the sand powdery white. 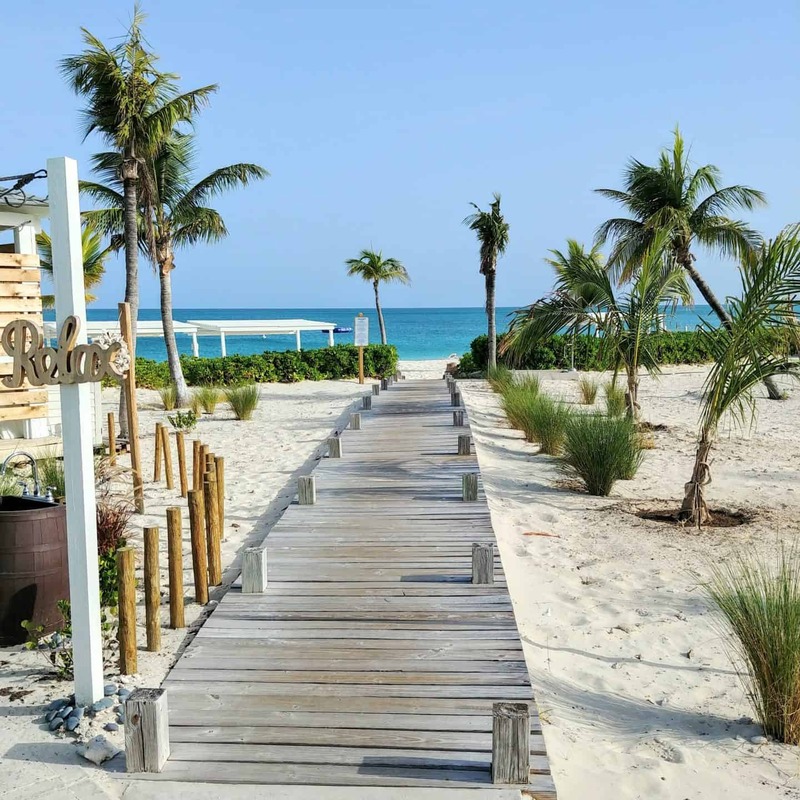 Grace Bay beach is has been voted several times as one of the best beaches in the world. The beach is fairly large so it will never feel crowded. The water is so clear that I could see fish swimming by me and I even spotted a starfish. 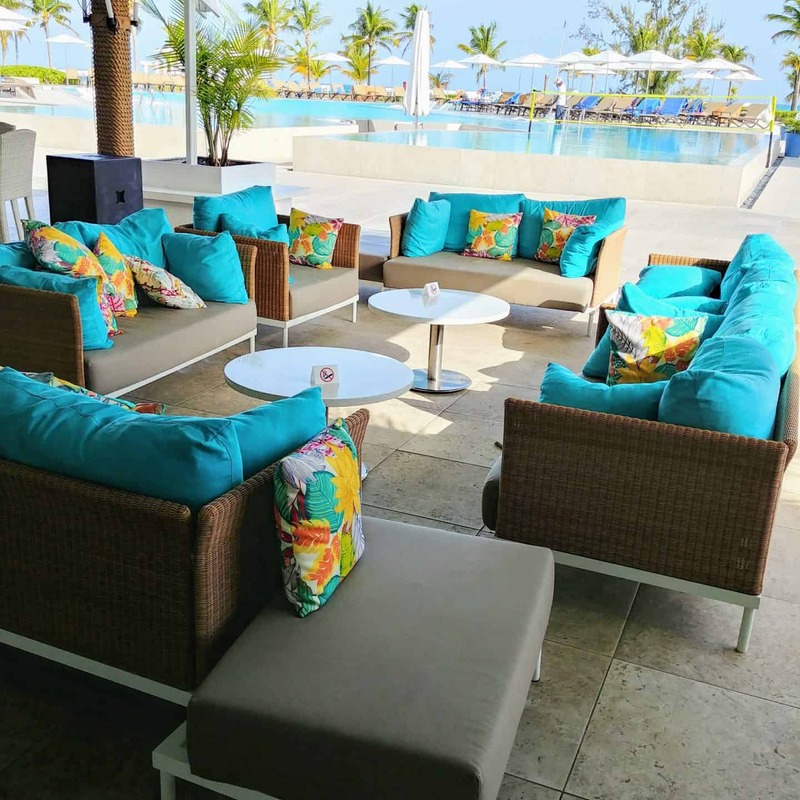 At Club Med, Life is about celebration. From circus night to French Canca the multi-talented crew performs creative entertainment shows that are truly entertaining. 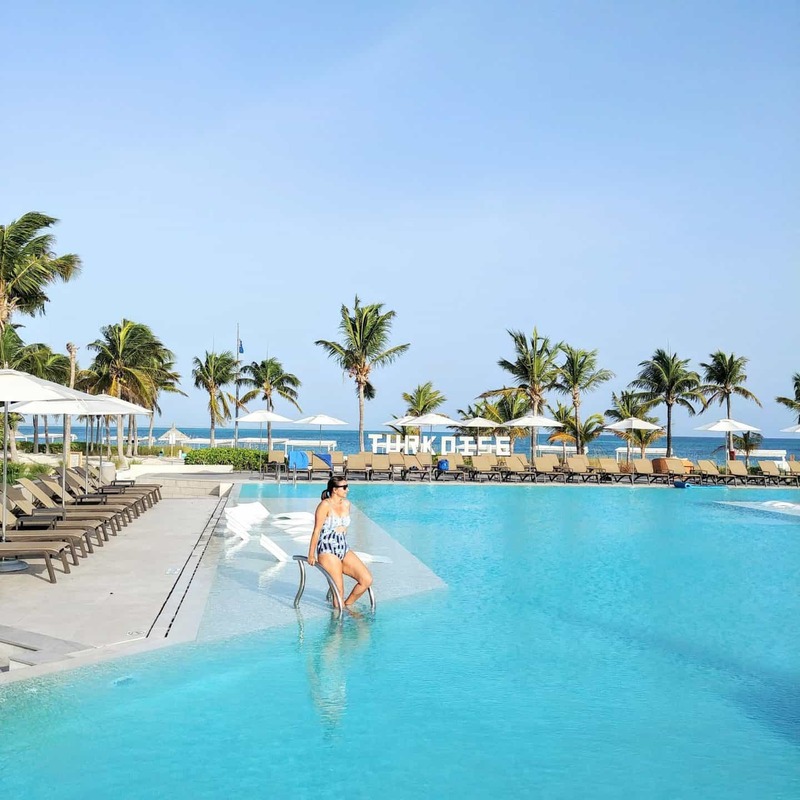 During the day the Club Med resort felt relaxed with several fun activities if you wanted, but at night the vibe really revved up and came alive. The evening always started with the show on the main stage, which was new every night, then the momentum continued onto the dance floor. With the lead of an amazing D.J. everyone got into the music and danced the night away…every night we were there! You could really see how much fun everyone was having! 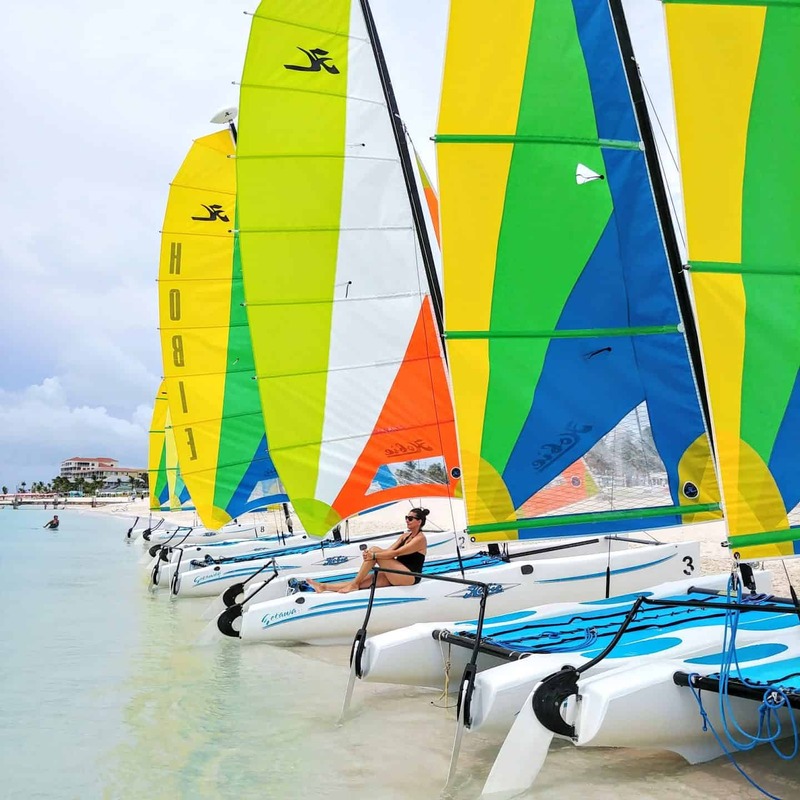 If someone asked me how I would describe the Club Med Turkoise resort, I would say fun …lots of fun in a beautiful location for all ages ….isn’t that what everyone wants? The young attentive staff here are more like friends, with each other and with all the guests. The resort feels as if you are at a huge family function with so much interaction and socializing. All in all, we loved the sincerity of this place, it felt friendly, fun and real and I’m sure that’s why some guests have returned over 20 times. 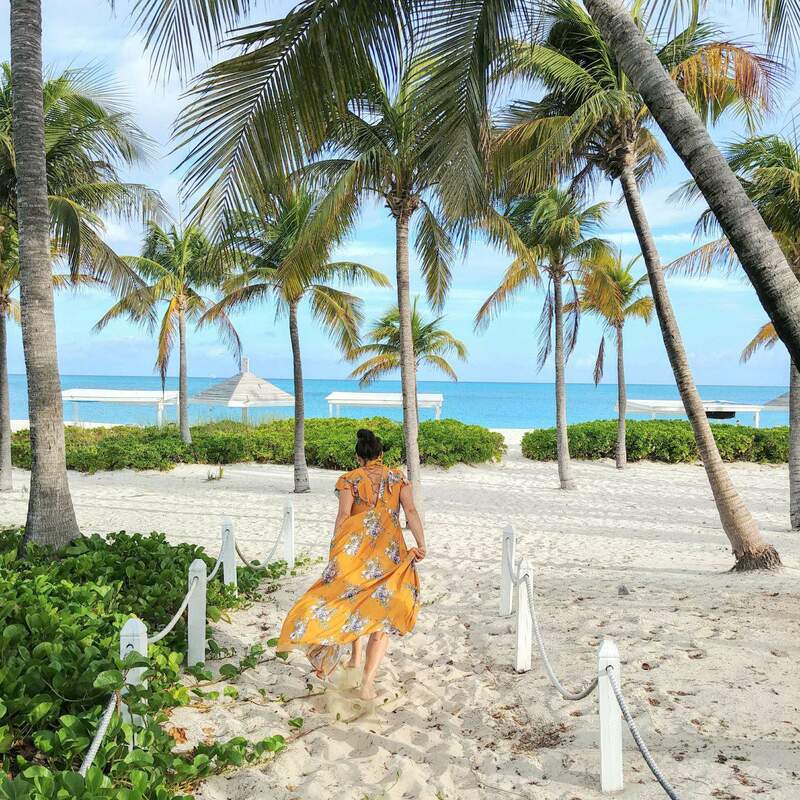 We can’t wait to return to this all inclusive Club Med adults only resort………..the amazing beaches are calling our names. 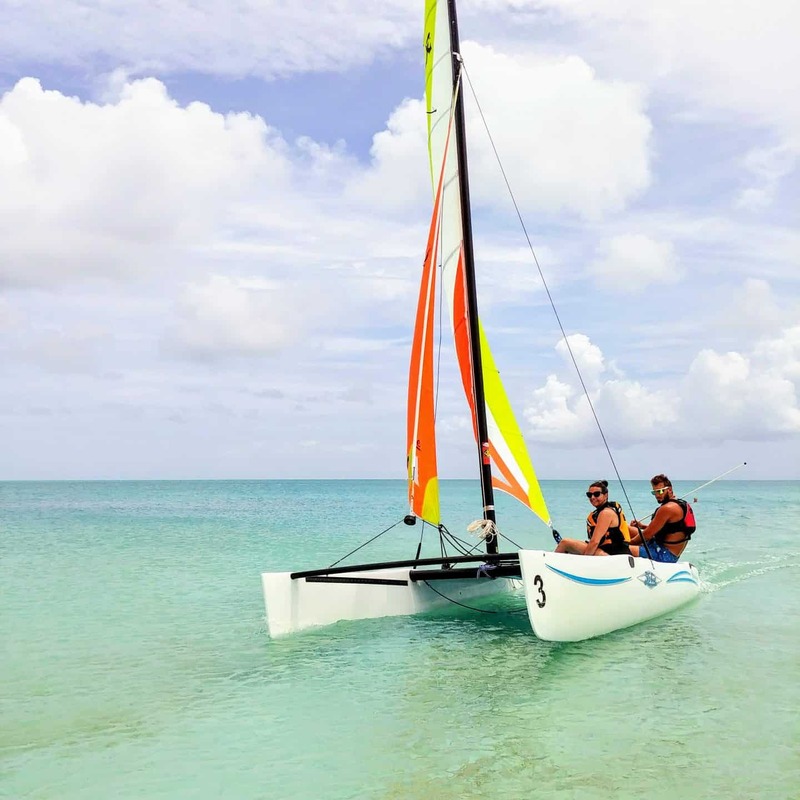 Thank you Club Med for a making our first time in Turks and Caicos Club Med a very memorable one. 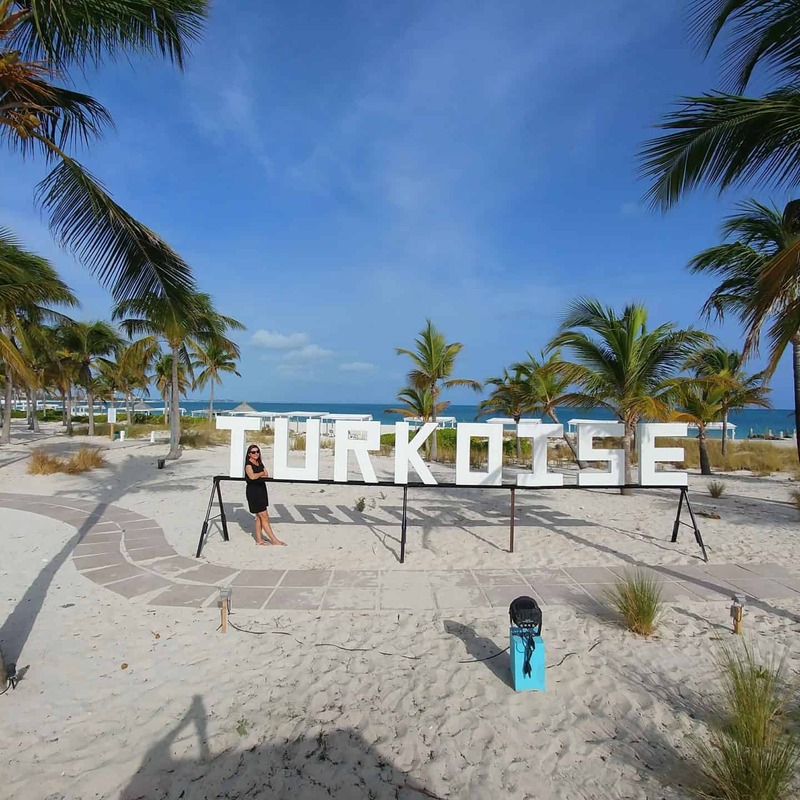 Disclaimer: My stay was hosted by Club Med Turkoise. As always, all opinions are my own. Wow, it looks incredible! I’d love to check this place out. I’ve never stayed at a Club Med before! The pool and beach looks incredible! You’re so lucky it’s a quick flight from Toronto! It takes forever from Vancouver to go anywhere warm! Yes, that is a bonus with a 3 hour flight from Toronto. I still need to visit Vancouver! !